Hall of the Mountain King: Review: Machines of Grace, "Machines of Grace"
Review: Machines of Grace, "Machines of Grace"
I've got a bit of a love/hate relationship with new projects from Savatage members. 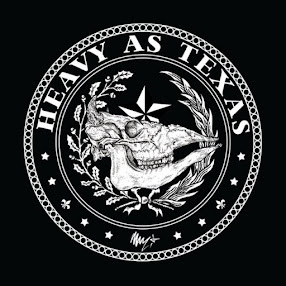 On the one hand, I have a massive amount of respect for most of the musicians that have been part of that band over the years (hence the name of the site), and I always look forward to their new efforts. On the other, it always reminds me how long it's been since we've had a new Savatage record and how unlikely it seems that we'll ever get another. 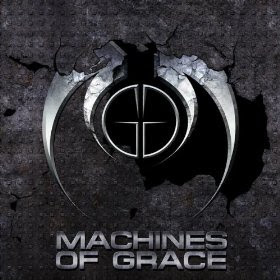 Now that my gripe session is out of the way, we'll get on to Machines of Grace, the new project that features former Savatage singer Zak Stevens and drummer Jeff Plate. Surprisingly, the band's debut record has very little to do with Savatage, and a lot more to do with good, old-fashioned melodic hard rock. There are certainly some metallic moments to be found through the album, like the undeniable guitar riff of second track "Psychotic," one of my personal favorites, but more often than not there are heavy overtones of 1970s and '80s arena rock. Machines of Grace has all the hallmarks of that genre: big memorable guitar licks, catchy melodies and just a little bit of dramatic flair. As I understand it, this is a reunion of sorts. Stevens, Plate and guitarist Matt Leff played in a Boston-based band called Wicked Witch in the late 1980s. Apparently the songs here are a combination of reworkings of some of the original Wicked Witch tunes and all-new material. The 1980s influence is definitely present, particularly on the ballads like "This Time," which despite some tasty guitar work from Leff, still has a bit too much of the hair metal power ballad to it. But misses in the 14 songs here are few and far between. The record opens with a rock-solid set of four big, fist-pumping rockers. "Just a Game" opens with a very cool (if a bit too brief) swinging blues rock intro before blasting into full hard rock mode with a version of the same lick on steroids. That's followed by the chugging riff of "Psychotic," which worms its way into your head and won't go away. The first taste of the progressive sounds Stevens and Plate explored in Savatage comes on "Fly Away," which wouldn't have seemed out of place on that band's "Edge of Thorns" or "Handful of Rain" albums (despite the fact that Plate didn't play on either of those records). The blues influence returns a bit on the grooving intro to "Innocence." The song is largely acoustic, but rocks just as hard as some of the heavier tunes. The first true ballad comes with "The Moment," a big, dramatic number with an opening in the vein of King's X. It's grown on me, but hasn't quite overcome my aversion to ballads. There's some more tasty guitar work by Leff on "Prelude," which ranges from acoustic to some slightly exotic licks to progressive in its minute or so running time before leading into "Between the Lines," with its big, memorable chorus. Later in the album, the more metallic side of the band returns for "Breakdown" and "Soul to Fire." Both have a great mix of heavy riffs and unforgettable melodic bits. The star of "Breakdown" is this huge 1970s-style chorus refrain that's unstoppable. "Soul to Fire" brings the progressive back, big-time -- it's easily one of the best tracks here, along with "Psychotic" and "Fly Away." There's also another little nice surprise waiting in the final tracks with the Thin Lizzy-influenced rocker "Better Days," that at first seems a bit out of place with the rest of the record, but is just too upbeat to dismiss. Stevens' voice is as good as it's ever been. The vocals are less dramatic and over-the-top than his work with Savatage, but the style fits perfectly with the music. Leff comes up with some huge riffs and tasteful leads. The rhythm section of Plate and bassist Chris Rapoza lays down solid grooves. It's a strong debut record from start to finish. Whether you're a fan of Savatage or just great melodic hard rock/metal in general, do yourself a favor and check this one out. Thoughts on Megadeth's "Head Crusher"